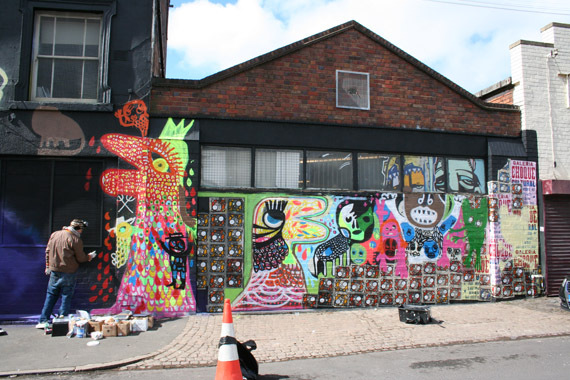 A number of Brazilian artist friends of mine have been visiting the UK to take part in various gallery shows. 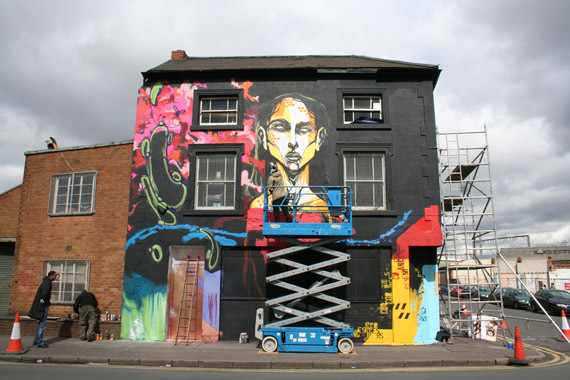 To put their spare time to good use I suggested to Mission Print screen printers (who I often work with) that they commission these artists alongside local artists to paint a mural on their buildings in central Birmingham. The results are stunning – many thanks to Missionprint. 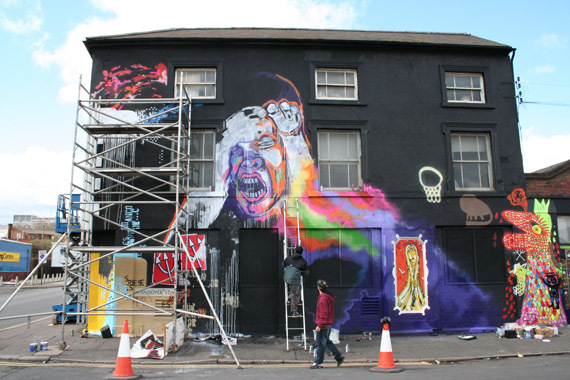 Featuring Daniel Melim, Titifreak, Carlos Dias, Milo Tchais, Rodrigo, Zezao and the Ikonoklast crew (Birmingham).